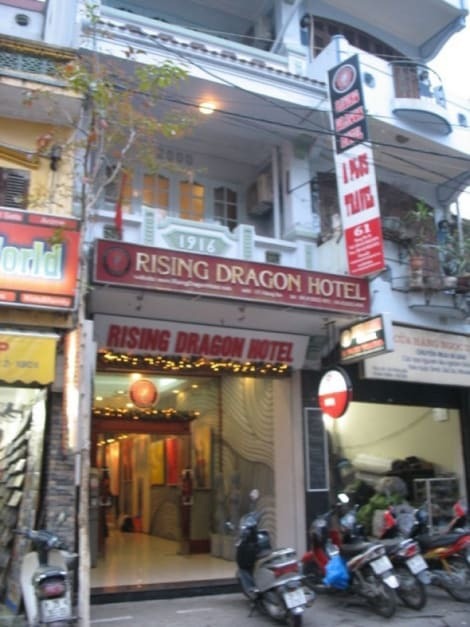 Hanoi Blue Moon Hotel is located in the centre of Hanoi Old Quarter. It takes only 2 minute walk to reach romantic Hoan Kiem Lake to visit Ngoc Son temple and the Huc Bridge. 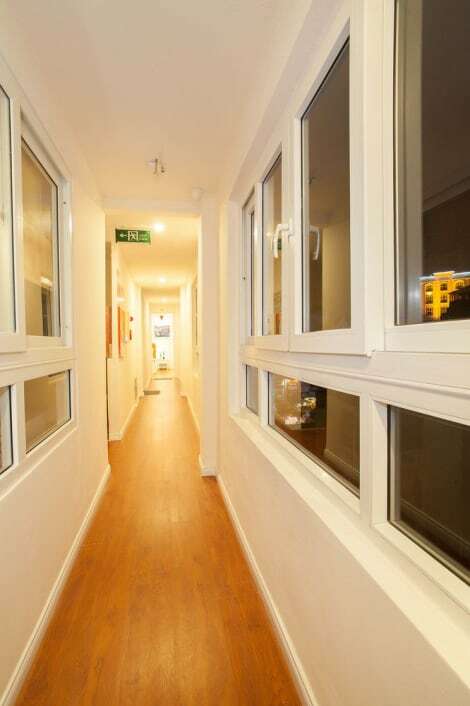 Banks post offices and airlines boxes are just within a few minutes walking distance.We provide a total of 29 rooms with convenient equipments and services. They feature a Queen-Size bed satellite TV a direct-dial telephone an internet access a safety box a mini-bar an individual controlled cooler and heater system fresh fruits baskets complimentary and welcome drinks a bathroom with hot shower and big bathtub a hair dryer a bathrobe a working table and relaxed armchairs.In our property you will find a cosy restaurant where you can taste both local and international cuisine. If you want to spend some nice moments in bars we can recommend you some good ones. With a stay at Golden Diamond Hotel in Hanoi (Hoan Kiem), you'll be within a 5-minute walk of Hanoi Old City Gate and Dong Xuan Market. This hotel is 0.7 mi (1.1 km) from Thang Long Water Puppet Theatre and 1.3 mi (2.1 km) from Hanoi Opera House. Make use of convenient amenities such as complimentary wireless Internet access, gift shops/newsstands, and wedding services. Additional amenities at this Art Deco hotel include a television in a common area and tour/ticket assistance. Guests can get to nearby shops on the shuttle (surcharge). Located in Hanoi (Hoan Kiem), Mon Regency Hotel is within a 15-minute walk of Dong Xuan Market and Hanoi Old City Gate. This 4-star hotel is 1.2 mi (1.9 km) from St. Joseph's Cathedral and 1.5 mi (2.4 km) from Ho Chi Minh Mausoleum. Enjoy Modern European cuisine at Skylark Restaurant, a restaurant where you can take in the garden view, or stay in and take advantage of the 24-hour room service. Unwind at the end of the day with a drink at the bar/lounge or the poolside bar. Described by some as the most beautiful city in Asia, Hanoi in Vietnam is rich in history and is quickly becoming a must-visit destination for keen globetrotters. As the country's capital and the second-largest city in Vietnam after Ho Chi Minh City, there's a definite buzz to Hanoi. Planning a trip to this part of the world? We have a fantastic selection of Hanoi hotels available, all located within easy reach of the capital's major tourist sights. In fact, the compact nature of the city means getting around is incredibly simple. Spend some time walking through the streets of Hanoi and you'll soon discover just how much of a vibrant atmosphere the city has to offer. Wander through the Old Quarter and lose yourself down winding streets filled to the brim with street hawkers, food stalls and shops selling all manner of goods. It maybe busy, fairly dirty and impressively loud, but it's an experience you won't want to miss. Escape the hustle and bustle by heading for the city's French Quarter, where you'll find tree-lined streets and impressive villas that date back to the period when Hanoi was in European hands. Ho Chi Minh's Mausoleum is one of the city's major attractions. It's located in the centre of Ba Dinh Square and visitors have the opportunity to file past the body of the famous communist revolutionary leader. Hoa Lo Prison, ironically referred to by American POWs as the Hanoi Hilton, now houses a museum. Learn about the grim history of the prison and view macabre relics such as a French guillotine used to behead Vietnamese revolutionaries. It's certainly worth finding time to visit The Temple of Literature, built in 1070 in honour of the Chinese philosopher Confucius. The temple is located about 10 minutes from the Lake of the Restored Sword (Hoan Kiem Lake), where locals meet to exercise early each morning. Hanoi is well known for its excellent street food and you won't have to walk far to find your next meal. Take a street food tour if you're keen to learn more about local delicacies such as Bánh cu?n, a steamed crepe made from rice flour and water, or Pho, a noodle soup. KOTO is a modern café-bar overlooking the Temple of Literature and is highly regarded for its stylish décor and good food. Try Red Bean Restaurant for modern Vietnamese cuisine or head to the Quan An Ngon food court, which welcomes thousands of diners through its doors each day.